Paul Romer won half the 2018 prize for recognising that education and governments help growth. William Nordhaus won the other half for condemning man-made climate change. Obvious? Maybe, but their work has complex equations. Unfortunately, these obscure more than they clarify. Source: Yale University/NYU Stern School of Business/Handouts via REUTERS. 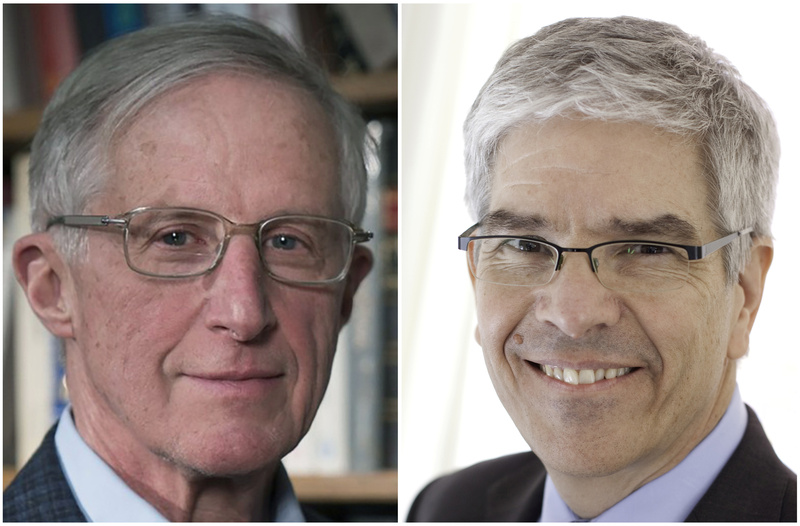 William Nordhaus and Paul Romer, pioneers in adapting economic theory to take better account of environmental issues and technological progress, shared the 2018 Nobel Economics Prize on Oct. 8. The Royal Swedish Academy of Sciences said the laureates’ work helped answer fundamental questions on how to promote long-term sustainable growth and enhance human welfare.